Payroll-Based Journal is coming: Are you ready? 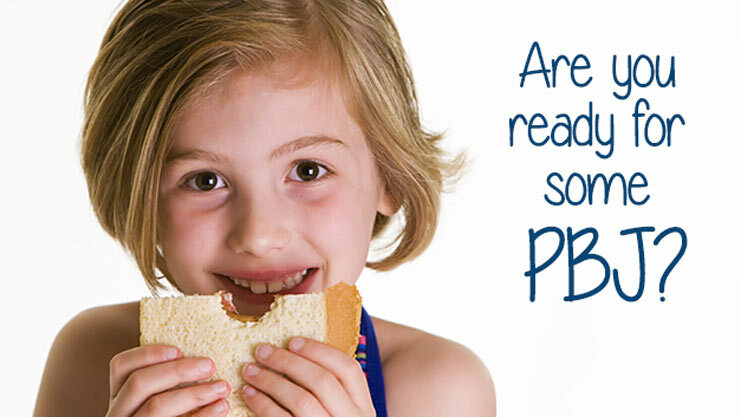 PBJ is no longer just the delicious peanut butter and jelly snack we loved as kids. It’s now something much more grown-up and complex. Given the choice, I’m sure you’d much rather be eating a delicious sandwich right now than worrying about regulatory change. But this is the real world of long-term care, so let’s talk about the upcoming Payroll-Based Journal (PBJ) requirements. The Affordable Care Act (ACA) mandates that skilled nursing facilities (SNFs) must soon electronically submit direct care staffing information (including agency and contract staff) based on payroll and other auditable data. CMS began collecting data from nursing homes on a voluntary basis on Oct. 1, 2015, and nationwide mandatory reporting begins July 1, 2016. With the deadline looming, many in our industry are concerned not only that compliance will prove difficult, but that the requirements are not as clear-cut as they should be. Here are some key items to keep in mind as you consider the impact of PBJ at your facility. While PBJ might seem like just one more regulatory mandate, it’s really about leveling the playing field among thousands of providers of varying sizes and staffing levels. As you know, the CMS Five Star rating system allows consumers to compare nursing homes in three important categories: nurse staffing, annual inspection results and quality measures. However, critics have pointed to the fact that much of the nursing home data has been self-reported, allowing facilities to artificially inflate their ratings. In order to improve transparency, the new system requires staffing data to be “verifiable and auditable” and to be submitted electronically to CMS. In theory, this will reduce fraudulent reporting and help keep competition fair among long-term care facilities. In the long run, this is good for both providers and the residents in their care. While the new PBJ system is designed allow nursing homes to submit accurate and auditable staffing data, many have pointed out that this is easier said than done. For example, facilities must include agency and contract staff in their reporting, but there are often differences in how this information is tracked. Many nursing homes utilize temporary nursing staff, which may not be recorded in the payroll system as employees. Facilities may also contract with staffing firms and pay for that labor as a whole rather than by individual staff member. Are my existing staffing measurements adequate or will I need new policies to track data? Do I accurately track the daily hours and tenure of contract and agency staff? Does my current payroll software produce an auditable document trail? Are my time and attendance, scheduling and human resource software solutions in sync? Once I have the data, what is my process for transmitting it to CMS? With PBJ, you’ll be required to capture and track data from multiple software systems. For many facilities this won’t be a simple task, since the data may be spread between payroll, scheduling, HR, and time and attendance software. You’ll also need to create a process for transmitting the completed PBJ report to CMS. Start talking to your software vendors now to ensure they are preparing for PBJ. Confirm they are registered with CMS and participating in vendor conference calls. Ask detailed questions about the changes they’re making and evaluate what kind of overhead the new processes will add to your current workflow. Most importantly, be sure you can trust your software providers as long-term partners to work with you in addressing PBJ and future regulatory changes. Many SimpleLTC customers have asked if we would develop a solution for PBJ. We’re excited to say the answer is yes. Our expertise lies in simplifying the complex processes involved in long-term care regulatory compliance and data analysis. We currently help 2,500+ long-term care facilities automate some part of their workflow, which includes data analysis and scrubbing, and transmission of data to CMS. We’ll employ that same expertise to create a new product that simplifies the process of PBJ compliance and, as usual, does it in a very cost-effective way. Our goal is always to create long-term care software people love to use. Stay tuned. We will announce more information about SimpleLTC’s PBJ solution soon. CMS PBJ website. Includes basic policy information, technical details for providers and third parties, and is updated regularly with new information. CMS Open Door Forums. PBJ information for SNFs and LTC providers will be communicated via open door forums as it becomes available. QIES PBJ website. Includes training opportunities, FAQs and information for third-party vendors/developers. As always, feel free to contact our SimpleLTC Support Team with specific questions related to PBJ and future software enhancements. I am interested in discussing how SimpleLTC can assist us in PBJ. Hi Andy… We’d love to talk with you about PBJ. I’ll ask someone to email you ASAP to set up a time to discuss. Thank you! They have! Meeting next week! Has Simple LTC created a PBJ system yet? We already use SimpleLTC for MDS submissions and would LOVE to know what SimpleLTC could do for us and WHEN we could expect this to be rolled out. Hi Cody — yes, we will be releasing a PBJ solution that allows providers to submit, track and archive PBJ files. Please stay tuned…we’ll be sending out more details to customers within the next couple of weeks. I need more information for PB&J Reporting. Hi Kelly — we will have someone contact you at the email you provided. Thanks!